Advice Home > Chat > There’s No Harm In An Online Chat With Strangers, Or Is There? There’s No Harm In An Online Chat With Strangers, Or Is There? A small group of people compared notes at a family gathering about the types of social media that they participate in when the topic of conversation turned to chatting with strangers in online chat rooms. One guy remarked about all the bragging and cursing that goes on in his chat room for sports cars enthusiasts. Someone else chimed in about a fitness chat room where a stranger habitually started a contentious topic, then abruptly left the conversation once the other members were writing in caps and typing emoticons furiously. Another guy broke in with a story about a chat stranger who joined his music group chat and had the gall to steal song lyrics from another member, claiming them as his own. As the group chuckled and nodded in agreement, Granny bent in her ear and said that their stories were nothing compared to the nastiness of the women in the quilter's chat room. "Quilters masquerade as online bullies?" and then, "Quilters have chat rooms?" Yep! Quilters have chat rooms. And so do sports fans, weight loss groups, home cooks, and hunters. If you have an interest or hobby, there's a chat for that. Most chat rooms start out as a good idea of a place where people can share resources, ideas, and information. When chat rooms are well run, they can also be a good source of friendship and support. Unfortunately, things can get out of control pretty quickly when a chat room has few or no rules. You can find yourself wrapped up in a chat for all the wrong reasons. What should you do when conversations get edgy and uncomfortable, causing you to feel bullied or threatened? As technology advanced our abilities to communicate in new ways, mass media outlets were the first to use chat rooms to get people talking to each other online. AOL and Yahoo set up chat rooms for numerous topics to draw audiences to their networks. Major networks had millions of chat rooms when they peaked in the 1990's. As cable and DSL technology became household staples, audiences opened wider, and the old-school chat rooms shut down. 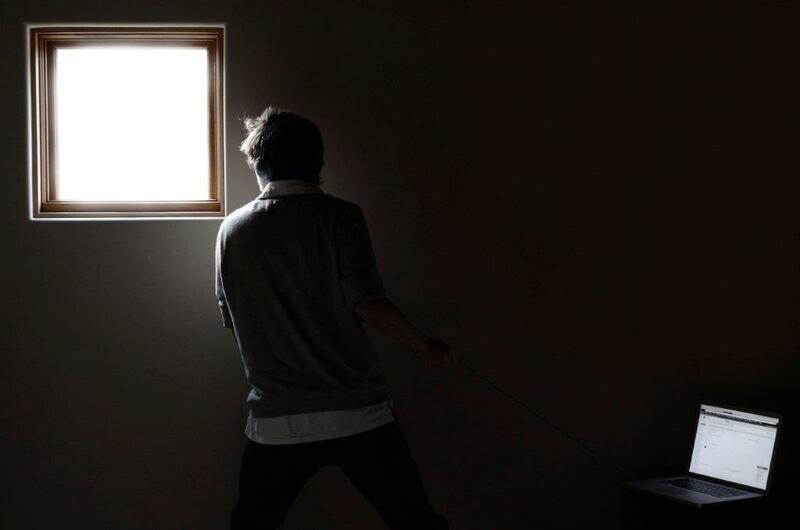 AOL was the first to shut down its chat with stranger rooms. Yahoo followed their lead and shut their random stranger chat rooms down by 2012. Stranger chat rooms didn't go away completely; they just took on different forms. Instant messenger chats, online forums, Twitter, and Facebook groups are the new face of chat rooms. How can you know the identity and motive of those who hang around today's chat rooms? Who is Vulnerable to the Dangers of Strangers and Stagers? Do you ever wonder why some people never seem to have no trouble with others in online groups and others seem to get drawn into every feud and squabble? Savvy chat members can read people online. Many of the same issues that cause people to be bullied in person, cause the same people to be vulnerable online. Cyber bullies look for people who are new to online social networks and don't quite have the knack of cyber communication down to a science yet. There's a lot of empowerment in making 'ignore' and "delete" your favorite strategies. Contentious chat strangers stay away from other members who can hold their own. Instead, they'll go after people who seem lonely, isolated, and who need attention. They look for cues that someone is naïve and easily tricked. Most people who travel to an unfamiliar place use an extra degree of caution when they are out and about in the community. It's just as important to use the same degree of caution when browsing around an online space as you would in a real-world environment. It's a good idea not to get too comfortable when you chat with a stranger, regardless of how long you've been chatting with friends in the group. As you gain a level of trust and comfort with others in the group, it feels effortless to share information about where you live, work, and went to school. Passing comments can tell other group members where you are. Even a simple comment like mentioning the school that your children go to can lead a stalker to your home. Have you shared any photos online in a chat room? Are there any recognizable landmarks in the background of your photos that would tell someone where you are? Be aware that anything you share online is free for the taking, which means that others can share your photos without limits, even if you don't give your permission. As for sharing those vacation photos in real time-your online friends will enjoy them just as much when you get back. There's a lot of talk about identity theft, and for good reason. According to the Better Business Bureau, identity theft is still the fastest growing crime. There's no true way to know if people are who they say they are. You can't assume that they won't pretend to be you. Online predators are masters at playing the game of gaining your trust so they can steal your money or your life. Be wary of suspicious emails that may contain a virus that could gain control of your computer and steal your personal information, social security number, and banking information. You can't be too careful with the information you post online. Take the extra step and make sure that your security programs and firewalls are strong and up-to-date. Does Emotional Abuse Count as Abuse? If you've been online long enough, you've undoubtedly seen some rude and unscrupulous netiquette. Have you borne witness to a chat with random strangers who delight in starting opposing discussions, but bow out of them abruptly once members get into a heated debate? Perhaps you've participated in a thread where a handful of members are so prominent in the chat that it's hard for others to voice a comment. It's one thing for someone to misunderstand your point of view because they can't hear your tone or inflection. It's quite another thing for them to attack or bully you relentlessly because they think you have no recourse. If it seems like an unhealthy conversation, it probably is. If you wouldn't tolerate it in person, don't tolerate it online either. You never really know what you are going to get when you join an online chat or forum, but that's not to say that they are all bad. In fact, many online chats are extremely helpful. What should you look for? Online chat rooms that are helpful and responsible always post the group's rules in a prominent place. Administrators monitor the group for negative and rude comments. Rulebreakers can expect to be removed from the group and banned. While some of the responsibility for positive group interactions lies with the group administrators, much responsibility for having a productive and helpful group lies with individual members. There's nothing wrong with being a lurker before you become an active participant. Watch the group's conversations for a while. Pay attention to how actively the administrators monitor the group and if they willingly ban disrespectful members and delete offensive posts. Get a feel for the various members and be cautious about believing everything others say. You'll find the right time to jump in. When you do, be sure to follow the group rules and practice good netiquette. Respect the confidentiality of members of the group, even when the group rules don't specifically state it. The one exception to breaking confidentiality is when you discover online comments or activity that makes you suspicious of criminal activity. Always report it to the police. You won't have to look too far to find a story about a child who became a victim because an adult predator lured them into a relationship online. Adults can easily fall prey to online scammers and criminals, so we can't expect children and teens to have the degree of maturity and life experience to protect themselves, without some adult guidance. Start by being a good role model. Practice safe online communication habits, and share with children and teens what you do and how you do it. Talk about stories in the media where children have been taken advantage of and how to protect themselves from harm. Keep the lines of communication open and encourage them to tell you if an online friend makes them feel uncomfortable. In addition to talking with your kids about online safety, technology can also work in your favor. Use GPS systems to track where your kids are on and offline. Post rules for web browsing near the home computer. Don't let kids have your credit card for making online purchases. Senior citizens are another population that's at risk of being victims of online predators. 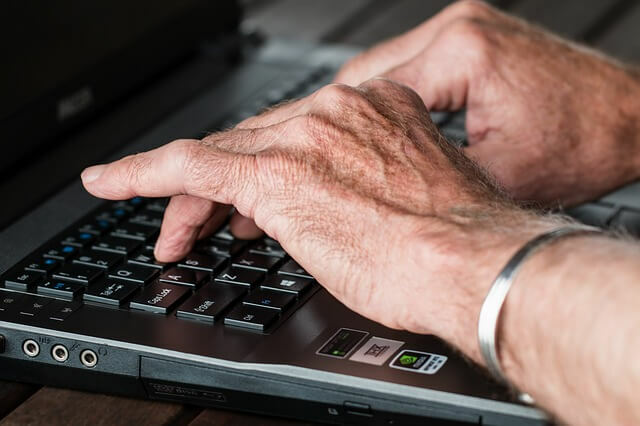 Our elders are not always aware of strategies they can use to protect themselves online, and they may not have the latest virus blocking software. Seniors need to be cautious about sharing personal and financial information online. In the opening paragraph, family members were surprised to learn that their beloved Granny had been exploring chat rooms. They were even more surprised to learn that Granny had been exposed to some aggressive chatters in something seemingly as innocent as a quilter's chat room. Did this scenario cause you to question who else might be lurking around the quilter's chat room? Did you also wonder if dear little Granny might be visiting some senior chat or dating sites? No matter how young or old they are, no one is exempt from online predators. 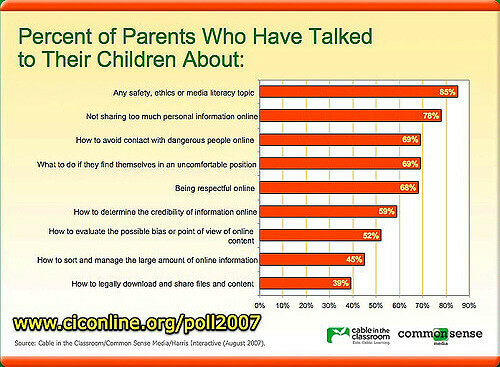 Start a family conversation about ways to keep everyone safe and protected online, and keep the discussion going. The philosophy of not giving an online stranger any more information than you'd give a stranger in real life, is a good one. Even when you practice safe online habits, you may still be subject to comments that are violent, sexual, extremist, or racist. Maybe you've encountered a chatter who makes a practice of blasting the group with strongly-worded opinions and aggressive attacks with the intent of amping up the group. This is known as "flaming." Encountering such people online can be traumatizing for people who visit chat rooms for support and friendship. Once you've distanced yourself from the person causing you distress, you may feel residual anxiety and mistrust, which can prevent you from participating in online activities you enjoy. Would you believe that help is available for you in the same area as the space that traumatized you? It comes in the form of online therapy. You can trust that certified therapists are available to conduct online therapy sessions, to help you heal from traumatic experiences, whether those experiences happened online or in real life. Caring therapists give you the time that you need to express your emotions and work through them, so that you can return to online activities with greater confidence, using a safe and healthy approach. They will help you to identify your vulnerabilities and red-flag potential scammers and flamers. If you've felt like you became a victim in any sense, the best thing that you can do for yourself is to get right back online, with a professional online therapist at BetterHelp. Would An Anxiety Chat Room Help Me Cope? How Much Does An Online Counselling Chat Cost?